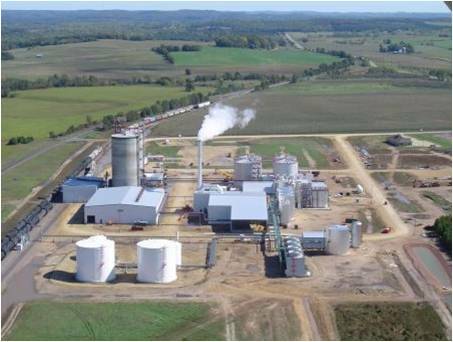 A new 55 million gallon per year ethanol plant was constructed on the West Coast. The plant combines process streams from the fermenter and various process vents that contain carbon dioxide (CO2), ethanol (C2H5OH) and other volatile organic compounds (VOCs). 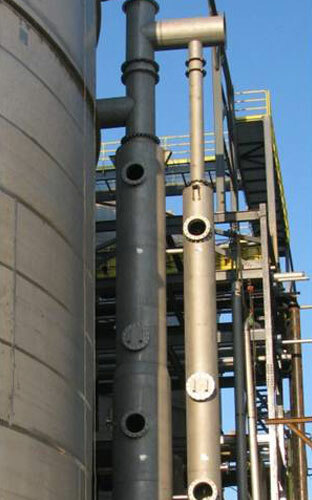 A tray tower scrubber was originally designed and permitted to recover ethanol from these streams. However, the high energy cost associated with a large pressure drop was undesirable. The customer searched for a more cost effective solution. The plant selected an Envitech ethanol scrubber on the basis of lower operating costs and ease of integration into the existing plant layout. Because the scrubber was designed to fit the same footprint as the original tray tower scrubber re-permitting was not required. The pressure drop of the Envitech ethanol scrubber is only 5 inches W.C. as compared to 122 inches W.C. for the original tray tower design. This reduced the fan horsepower requirements from 283 HP to only 16 HP, representing an operating cost savings of approximately $175,000 per year. 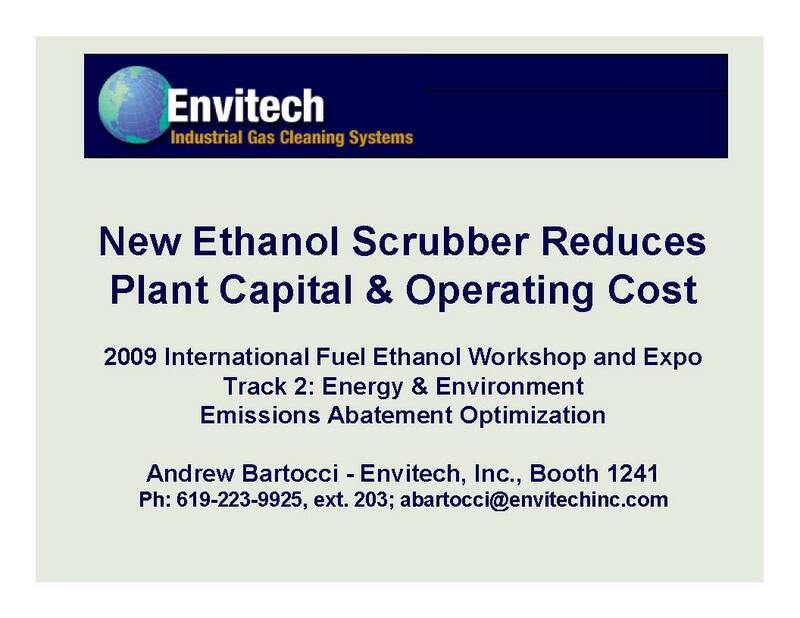 The ethanol scrubber performance is greater than 99% recovery of ethanol vapors.